NEW YORK: A Sikh organisation in the US has created a world record by tying thousands of turbans within a few hours as members of the community commemorated the annual Turban Day at the iconic Times Square here, spreading awareness about the faith amid incidents of hate crimes against the community. The Sikhs of New York organised the Turban Day as part of the annual mid-April celebration of Baisakhi, which is commemorated by millions of Sikhs annually. This year, the organisation was aiming to set a world record for tying the most turbans during the daylong celebration in Times Square on Saturday. Chanpreet Singh, the founder of the non-profit organisation, said they tied over 9,000 turbans and are “thrilled” to set the world record for tying thousands of turbans in a few hours. The Turban Day brought together hundreds of volunteers from the Sikh community who tie colourful turbans on New Yorkers, tourists and Americans from across the country visiting Times Square. While tying the turbans, they also talked about the Sikh identity, making people aware of the culture. The event has been aimed at spreading awareness among Americans and other nationalities about the Sikh religion and its articles of faith, especially the turban, which has often been misconceived and misidentified as being associated with terrorism particularly in the years sincethe 9/11terror attacks. 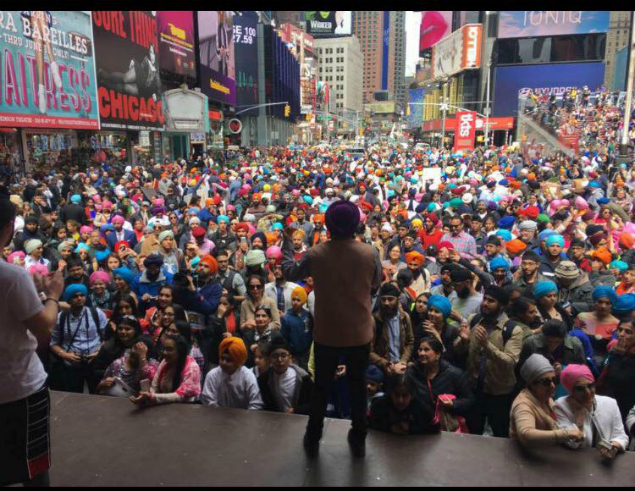 Sikhs for New York said thousands of New Yorkers and visitors from around the globe crowd into Times Square and came away for the first time wearing a turban on their head and learned about Sikhism, one of the largest religions in the world. 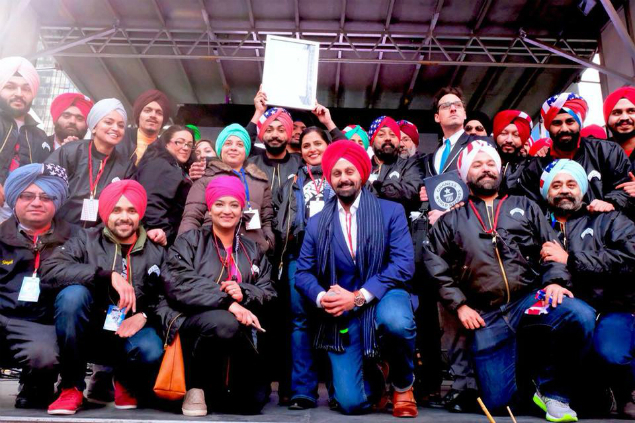 Representatives from Guinness World Record judged the event in Times Square and presented the organisation with a successful world record breaking attempt by tying the most turbans in one place in the world. The day-long event also included cultural and musical presentations.